She's a woman on the brink. 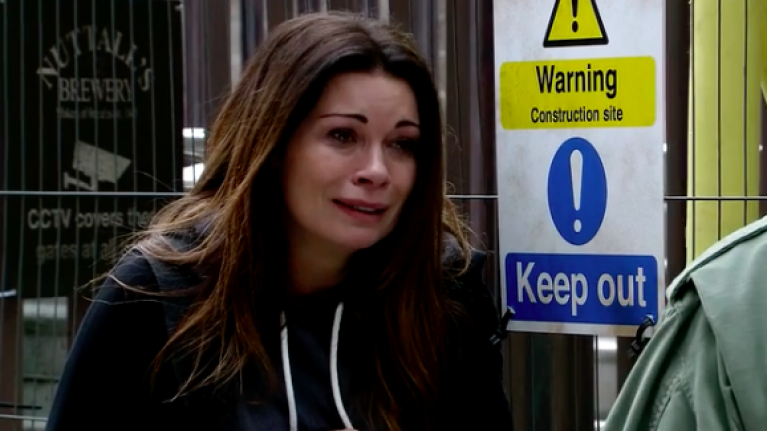 Since Rana's untimely, shocking, and deeply upsetting death, Carla Connor has been having a rough ol' time of it on Coronation Street. The Underworld boss has been pretty much plagued with grief since she admitted to knowing that the factory roof was in a bad state, even if she hadn't know that it would actually collapse. It did though, and that left Kate without a wife and Carla without a sense of calm in her life as she struggles to cope with her own guilt and the rampant paranoia that someone might be watching her. And someone is - but it isn't Rana as Carla is worried about, because Rana is dead, so that would be impossible. Still though, logic isn't enough to quell Carla's fears as she becomes increasingly convinced that she is being contacted from beyond the grave. Peter knows this isn't true, naturally, and tries to convince Carla of this fact, but she isn't buying it and decides to reply to the messages she's being sent in Rana's name in an attempt to talk to the mystery person. Meanwhile, Peter's trying to find out the truth and he enlists the help of Kate, who begrudgingly gets involved purely because she doesn't want anybody else having access to Rana's social media accounts. The pair eventually discover who's behind the messages, and who has been subsequently stalking Carla. But because this is Coronation Street, it may very well be too late before they get the information to the factory boss. Or Kate will happily let her live in fear for the rest of her life. Coronation Street continues tonight at 7.30pm on Virgin Media One.